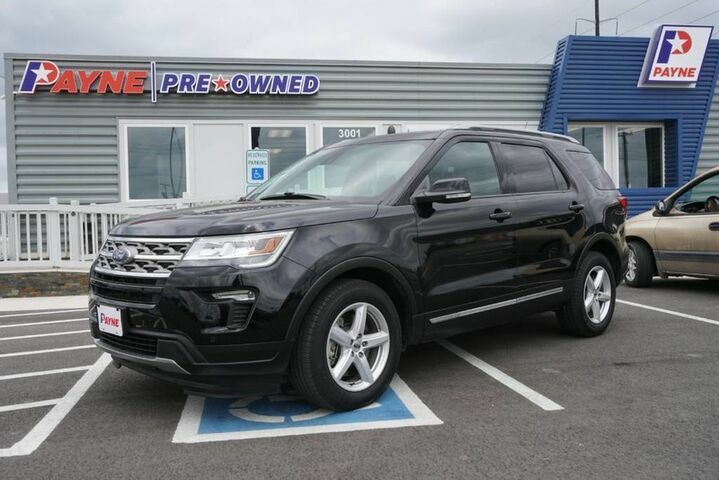 This 2018 Ford Explorer XLT is proudly offered by Payne Pre-Owned Edinburg Treat yourself to an SUV that surrounds you with all the comfort and conveniences of a luxury sedan. The quintessential Ford -- This Ford Explorer XLT speaks volumes about its owner, about uncompromising individuality, a passion for driving and standards far above the ordinary. The look is unmistakably Ford, the smooth contours and cutting-edge technology of this Ford Explorer XLT will definitely turn heads. This is about the time when you're saying it is too good to be true, and let us be the one's to tell you, it is absolutely true.